How To Submit Blogger Sitemap In Bing And Yahoo? 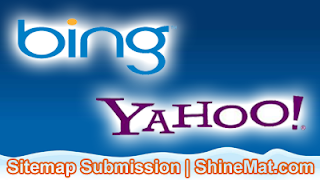 Home > SEO > How To Submit Blogger Sitemap In Bing And Yahoo? Today we will learn how to add blogger sitemap to bing and yahoo webmaster tools. but before we go forward, I want to tell that sitemap submission to Yahoo was done by using Yahoo Site Explorer. But last year (21/11/2011) Yahoo Sitemap Explorer service completely transferred to Bing Webmaster Tools with a partnership agreement. This means you will get traffic to your site from both Yahoo and Bing by submitting your sitemap to only Bing Webmaster Tools. 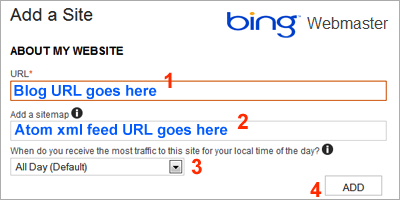 ALSO READ: How To Submit Blog URL To Bing? We already published a tutorial about the sitemap submission to Google Webmaster Tools. Read, How to submit sitemap to Google Webmaster Tools? 1. Sign in to your Bing Webmaster Tools account. This will required a live or hotmail email ID. If you don’t have please sign up for hotmail account. 7. Now paste the code at below <head> tag which you have copied from Bing Webmaster Tools. 8. Click Save Template to done. Now go to Bing and click VERIFY button at bottom. That’s all. Now wait for at most 5 days to show results from Bing and Yahoo search engines. See below links, these are ping URLs for Bing according to posts quantity. Now copy these links and paste them in your browser address bar one by one. 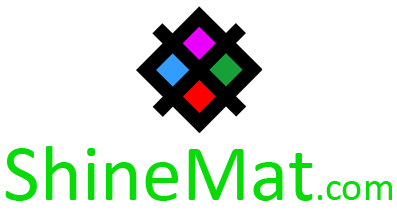 Replace www.shinemat.com with your own link. Press Enter. After a while you will see a confirmation message. Thanks for submitting your sitemap. How To Generate Sitemap In Tumblr Blog? I have tried my label best to make this tutorial easy for everyone. If you have any problem please feel free to ask me. Best of luck, Have fun!